EN VENEZUELA SE ENTREVISTA A OSCAR LOPEZ RIVIERA EXPRISIONERO POLÍTICO PUERTORRIQUEÑO. There were few causes closer to Fidel Castro’s heart—and none more likely to arouse the ire of his country’s superpower neighbor—than the status of Puerto Rico, which came under U.S. control after the Spanish–American War in 1898, the very same conflict that led to Cuba’s independence. Given Cuba’s own experience with Spanish rule and U.S. occupation, the Cuban leader was always ready to champion decolonization. But with an increasing chorus of prominent individuals—from politicians such as Senator Bernie Sanders and Congressman Luis V. Gutiérrez, to celebrities such as Ricky Martin and Lin-Manuel Miranda—calling for President Obama to commute the sentence of Oscar Lopez Rivera, the alleged leader of the FALN (a militant Puerto Rican separatist group), Castro’s support for radical Puerto Rican “independistas” deserves renewed scrutiny. Castro considered Cuba and Puerto Rico “two wings of the same bird,” as the Puerto Rican poet Lola Rodriguez de Tio, put it; “They receive flowers and bullets into the same heart.” Indeed, Castro echoed this line during a secret meeting with U.S. officials in Havana in 1978, calling Cuba and Puerto Rico “two islands of the same sea, and two daughters of the same history, with a common language and culture and association with Latin American, not Anglo-Saxon, countries.” He believed that this shared history precluded perpetual U.S. control over the island. “From the depths of our hearts,” he continued, “we reject the idea that Puerto Rico could be a state of the United States.” In the following decades, Cuba publicly pressed for independence for Puerto Rico. Why Did Obama Free This Terrorist? In response, major sponsors such as Goya, Coca-Cola , Univision, Jet Blue and the Yankees pulled their support. New York Police Department Commissioner James O’Neill is refusing to march, as are several Democratic politicians, including Gov. Andrew Cuomo, Attorney General Eric Schneiderman and Sens. Chuck Schumer and Kirsten Gillibrand. Carnage on this scale was possible because of the FALN’s organizational and operational sophistication—including its numerous connections to communist Cuba and its intelligence services. 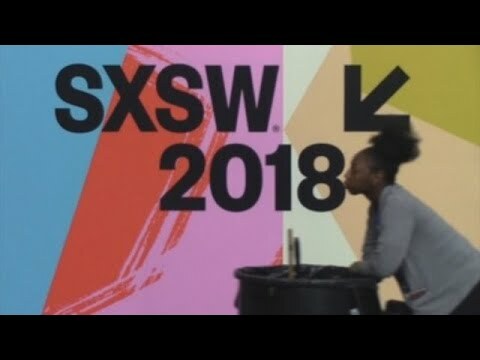 Those connections have been known to law enforcement for decades. According to court documents, Filiberto Ojeda Ríos, who is believed to have helped co-found the FALN, told an undercover NYPD officer in 1983 that he had received explosives training in Cuba. And the FBI estimated that by 1973, roughly 135 Puerto Rican militants had received “extensive instruction in guerilla war tactics, preparation of explosive artifacts, and sophisticated methods of sabotage” from Fidel Castro’s intelligence services. “the FALN was started in the mid-1960’s with a nucleus of Puerto Rican terrorists that received advanced training in Cuba. . . . After their advanced training in Cuba they returned to Puerto Rico and a wave of bombings and incendiary incidents struck the [latter] island. Within the last few years they have shifted their activities to the mainland. . . .
That training would help explain the FALN’s professionalism, as well as its ability to bedevil law enforcement. 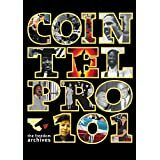 An FALN instructional manual, which I also found at Hoover, includes sophisticated directives for compartmentalized clandestine communications between different “cadres,” or cells, as well as espionage and countersurveillance techniques. “One must observe religiously the rules and regulations of security in order to protect the organization, its cadres, its secrets, its documents, its arms, [safe] houses, and other instruments of work,” the document says. According to the manual, this hyperattention to security even extended to meetings of the MLN, the FALN’s above-ground political organization. Viewed from this broader perspective, the FALN was not merely a “highly motivated and intelligent adversary,” as the NYPD document I found puts it. It was an instrument in the decadeslong shadow war between the U.S. and Cuba. This is not to minimize the pro-independence sentiment in Puerto Rico, or the historical, cultural and emotional bonds that tie the two islands together. The Spanish-American War, which gave Cuba its independence, also led to Puerto Rico’s annexation by the U.S. But from Castro’s perspective, training a group of dedicated Marxist militants, whose actions would then destabilize major American cities such as New York and Chicago (as well as Puerto Rico itself), would help form a relatively low-cost, and covert, strategy for weakening his greatest antagonist. Mr. Castro neglected to mention that Cuba already plays host to another FALN leader: William Morales, one of the group’s bomb-makers, who after escaping from a U.S. prison in 1979 found his way to Havana. Much of the story of Oscar López Rivera and the FALN takes place far from the streets of Spanish Harlem, Humboldt Park or San Juan. Mr. Dorfman is a senior fellow at the Carnegie Council for Ethics in International Affairs. Appeared in the June 9, 2017, print edition. On January 17, 2017, as one of the final acts of his presidency, Barack Obama commuted the sentence of 74-year-old Oscar Lopez Rivera, the Puerto Rican nationalist who had served 35 years of a 55-year conviction for the crime of “seditious conspiracy,” as well as attempted robbery, explosives and vehicle-theft charges. Thanks to Obama’s intercession, Lopez will be freed in May. The truth, alas, is considerably darker than that. The FALN was responsible for over 130 bombings during this period, including the January 1975 explosion in Manhattan’s historic Fraunces Tavern, which killed four and wounded 63. In October of that year, it set off, all within the span of an hour, 10 bombs in three cities, causing nearly a million dollars in damage. In August 1977, the FALN set off a series of bombs in Manhattan, forcing 100,000 workers to evacuate their offices; one person was killed, and six were injured. In 1979, the group even threatened to blow up the Indian Point nuclear energy facility located north of New York City. It later sent a communiqué warning the U.S. to “remember … that you have never experienced war on your vitals and that you have many nuclear reactors.” In 1980, FALN members stormed the Carter-Mondale election headquarters in Chicago, and the George H.W. Bush campaign headquarters in New York, holding employees there hostage at gunpoint. In 1981, they plotted to kidnap President Reagan’s son Ron. Plainly, the group was deadly serious about its objectives—a free, independent and socialist Puerto Rico—and zealous in its pursuit of them. According to court documents, thoughout this time, Lopez, a Vietnam War veteran, was part of FALN’s “Central Command”—a member of the “triumvirate” that led the organization. In 1976, Lopez became a fugitive when federal investigators discovered a “bomb factory” in an apartment he had rented in Chicago. He would evade arrest for the next five years, actively planning robberies and training FALN members. According to the summary of the testimony of Alfredo Mendez, an FALN member who later became a government witness, Lopez even gave new members bomb-making lessons. After arriving at the Milwaukee safe house for the first time in December 1979 or January 1980, Mendez was led to a basement workshop where Oscar Lopez told him that the day’s purpose was to instruct Mendez in the proper construction of various types of explosive and incendiary devices. … Mendez spent several hours being schooled in the tools and techniques of bomb manufacturing. Lopez described and demonstrated the techniques and watched while Mendez practiced. … Throughout the day’s instruction, Lopez had Mendez construct approximately 10 timing devices and firing circuits. In May 1981, Lopez was arrested after police pulled him over for a traffic violation. He was caught with a handgun with a filed-down serial number and a fake ID. When investigators searched the Chicago apartment tied to his fake ID, they found bags of dynamite, blasting caps, a bomb timer, an automatic weapon and assorted paraphernalia, including a bomb-making manual for FALN members. He was eventually sentenced to 55 years in prison on a variety of charges, including seditious conspiracy, attempted armed robbery, explosives possession, car theft and weapons violations. Lopez remained active, even while in prison. In fact, he received an additional 15-year sentence in 1987, after the FALN was largely defunct, for an audacious jailbreak plot (the second of two) that, according to the FBI, “involved flying a helicopter stocked with machine guns and explosives into the Leavenworth recreational yard.” Aided by two radicals affiliated with the Weather Underground, Lopez’s plan apparently included “riddl[ing] guard towers with rounds from automatic weapons, and throw[ing] grenades in the path of those who pursued” the escapees. 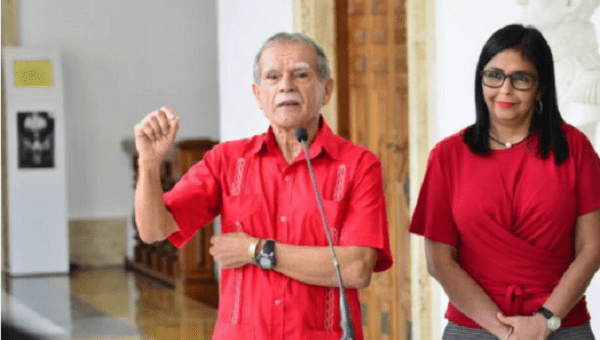 In addition to its devotion to “armed struggle,” as FALN members themselves characterized their actions, the group’s connections to Cuba, while still opaque, should also give pause to some of Lopez’s supporters. 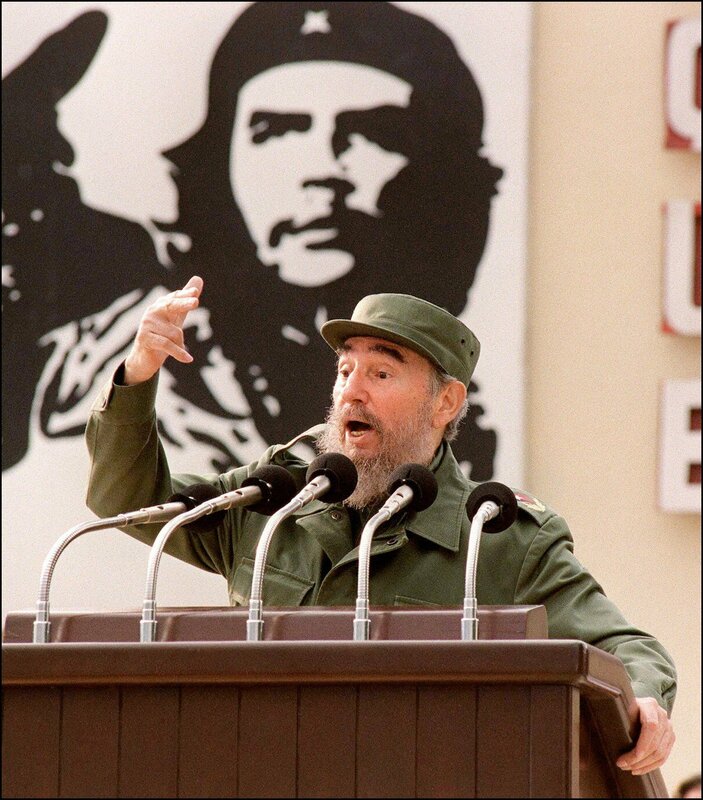 In the mid-1970s, Fidel Castro made Puerto Rican independence a major plank of his country’s foreign policy, much to the consternation of the Ford and Carter administrations. Over this period, Cuba had very close relations to the main pro-independence party in Puerto Rico, the PSP. 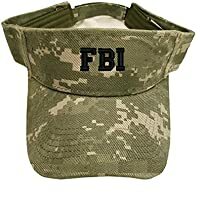 (The FBI, in fact, held that by the early 1960s, Juan Mari Brás, the PSP’s leader, was a paid Cuban agent). And, according to the Senate Judiciary Committee, the prominent Puerto Rican revolutionary Filiberto Ojeda Ríos, who later co-founded the FALN, was recruited by Cuba’s General Directorate of Intelligence (DGI) as an operative as early as 1963. U.S. authorities claim that Cuban intelligence gave Ojeda Ríos training in espionage and bomb-making techniques, which he then passed on to other pro-independence militants. According to the FBI, by 1973, 135 Puerto Rican radicals had received “extensive instruction in guerrilla war tactics, preparation of explosive artifacts and sophisticated methods of sabotage” within Cuba itself. Clinton’s 1999 clemency offers were undertaken under some unusual political circumstances. At the time, Hillary Clinton was gearing up to run for an open Senate seat in New York, then home to over 1 million Puerto Ricans, the largest population in the United States. Puerto Ricans make up an important and influential Democratic constituency in the state, and many accused the president of granting the commutations in order to drive Hispanic voters to his wife’s candidacy. Facing stiff political headwinds, and harsh criticism from New York Mayor Rudy Guiliani, her probable Republican opponent in the Senate race, Hillary Clinton released a public statement disavowing the FALN commutations. Regardless of whether Hillary’s race was a factor in Bill’s decision, political and popular pressure surely was. Over 400 Puerto Rican civic and nonprofit organizations lobbied Bill Clinton for FALN pardons, as did the Puerto Rican Bar Association, labor and business leaders, and a number of distinguished politicians on the island. In Congress, the lobbying effort was led by Representatives Jose Serrano, Nydia Velazquez and Luis Gutierrez, all Democrats. 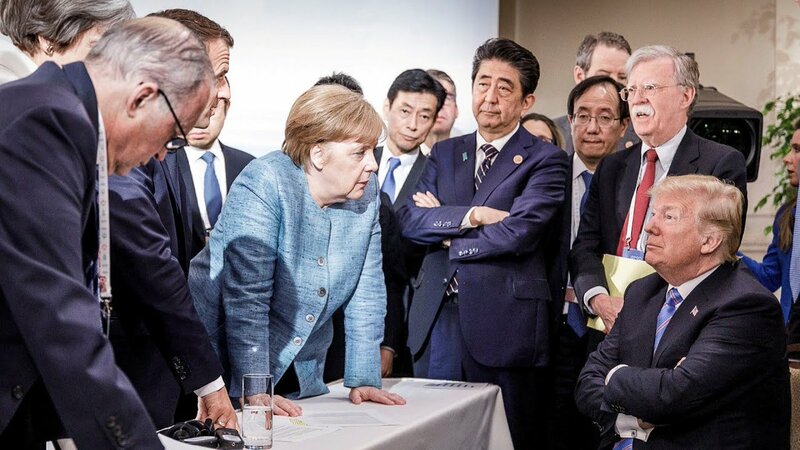 For their part, Republicans have been susceptible to the same kind of interest-group pressure, proving that politicians’ moral outrage over civilian deaths caused by extremists can be easily subordinated to amoral calculations about raw interest. For instance, the Cuban-American community has long lobbied Republicans for leniency regarding anti-Castro Cuban extremists, often quite successfully. In 1991, George H.W. Bush released from jail Orlando Bosch, a notorious anti-Castro terrorist implicated in the 1976 Cubana Airlines bombing that killed 73, offering him U.S. residency. When Jeb Bush was governor of Florida, he was instrumental in securing the 2001 release of two Cuban-American terrorists convicted of assassinating a leftist Chilean ex-diplomat and his American colleague in Washington, D.C. in 1976. And in 2005, President George W. Bush treated another prominent anti-Castro Cuban terrorist, Luis Posada (who was also implicated in the Cubana Airlines bombing), with extreme dutifulness when Posada decided to sneak back into the country after a 2000 attempt to assassinate Castro in Panama. Both parties, then, have shown themselves to be rather “soft on terrorism” when it suits their needs. Lopez, meanwhile, will likely be treated to a hero’s welcome when he returns to Puerto Rico, a place he has not lived since he was a child. As much as things have changed since then, he will find that one salient fact has endured: As during the 1970s and 1980s, support for outright independence is almost nonexistent. Perhaps he will find solace in the company of his old comrades from the FALN, some of whom now live in freedom on the island; perhaps he will even try to visit Cuba to reconnect with William Morales, FALN’s premier bomb-maker, who, after a 1979 escape from a New York prison, was eventually granted refuge under Castro. The mere thought must drive federal law enforcement officials to apoplexy. When the Obama administration announced its rapproachement with Cuba in 2015, few, I suspect, could have imagined Lopez and Morales walking along the Malecón, together, as free men. Zach Dorfman is senior fellow at the Carnegie Council for Ethics in International Affairs. mikenova shared this story from Obama cuba puerto rico Lopez Rivera secret deal – Google News. This is the legacy of the martyrs and heroes of the resistance, among whom is Oscar Lopez Rivera, political prisoner with his sentence commuted by President Obama after imprisonment for 35 years. 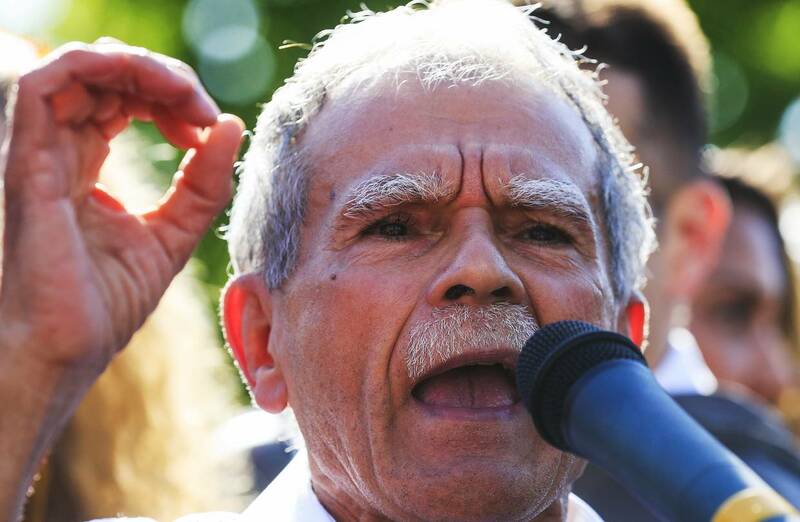 Oscar Lopez Rivera is living in Puerto Rico and traveling widely as international voice of the people. NEW YORK — Oscar Lopez Rivera may not have officially been honored as a National Freedom Hero in the city’s Puerto Rican Day Parade on Sunday, but the fervent nationalist who spent decades in … City Council Speaker Melissa Mark-Viverito blamed journalists for turning the debate into a big deal. Trump says he admires Puerto Ricans. They ask, where’s the proof? TeleSUR speaks to Cuba expert Arnold August about Raul Castro’s impending retirement and U.S.-Cubarelations. … the youth communist daily Juventud Rebelde hailed the 70,000 youth participating in voluntary work, and the international Youth and Student Festival in Sochi, it also did deal with 2018.
mikenova shared this story from Obama cuba puerto rico Lopez Rivera – Google News. mikenova shared this story from Obama cuba puerto rico – Google News. In the Seventies, the US introduced tax breaks to lure US multinationals to the island. But in the 1990s, President Bill Clinton began winding down those provisions, effectively putting the economy on a slow skid to where it is today. Barack Obama always seemed more interested in Cuba than Puerto Rico. I have been traveling to Cuba since 1994, when the so-called special period lashed at its worst moment and the country was plunged into an economic crisis of such magnitude that caused the Cubans to undergo all kinds of vicissitudes. Since then I went in and out of the island multiple times, until in 2015 I started an almost permanent relationship that keeps me living in Havana as a journalistic correspondent. What have I seen in Cuba in all this time? Well I have to answer that the country has changed, and a lot. Who does not know the Cuban reality and measures it exclusively for what they tell him or her for the parameters that are the system itself or from the unbreakable rage oozing opponents in exile or sporadic contacts of a holiday plan, because an incorrect judgment is made about what is really happening in this country. Let’s start with some simple examples. In 1994 a Cuban could not walk with a foreigner unless he had allowed that authorized, to regulation that today is seen as absurd; that the nationals loaded foreign currency was illegal, today the currency is in common use; that the nationals entered the hotels were forbidden, today their stays are as important as the tourists; that there were bars, restaurants, mechanic workshops, hairdressers and many other private businesses, because it was unthinkable, but today they are operating here. Yes, there have been advances in Cuba. That they do not go at the speed that the Cubans themselves wanted, of course they did; that the country requires a collective “upgrade” in many aspects, of course; that the Cuban system is not in harmony with other socialist experiences like those of China or Vietnam, too; that the United States and the community in exile want everything to fall for them to put together their rumba, because that has no discussion; that in the name of that battle with the United States and exile, no necessary transformations are made, that theory I buy it equally; that in Cuba there are good things and bad things, because that is a fact, and I can attest, because I live it daily, without anyone telling me, because this country is not as perfect as they may want to paint it, but neither is it Dantesque hell that some seek to draw. Of course, daring to put in black and white what is the balance of an experience lived in a foreign country, will bring with it the typical reactions provoked by the Cuban theme. Those who support the system will analyze these lines from their perspective and could label them as “antirevolutionary”, while those who oppose it will label me as a “communist and lover of the Castro”. And that is precisely where I want to go, to that polarization that is the main enemy of the social update that Cuba requires progress at a more firm and faster pace, according to the times. Those who from the outside promote the imposition of an American-style model in Cuban society do not fully understand that with the use of force what they do is feed and strengthen the internal forces that favor the status quo. Es por eso que la estrategia del expresidente Barack Obama fue tan certera y alcanzó que Cuba promoviera una serie de ajustes que eran impensables una década atrás. El tema del acercamiento con Estados Unidos le dio voz y abrió la posibilidad para que reformistas internos (que los hay, incluso en las rígidas estructuras políticas cubanas, y son más de lo que mucha gente piensa) dieran importantes pasos de avance con el visto bueno de la alta jerarquía gubernamental, que dio un voto de confianza al deshielo. El cambio hacia la ruta opuesta promovido por Trump liquidó esas voces y provocó un detente en un proceso de avance que estaba asumido en Cuba, pues le dio la razón a quienes defienden que las cosas se queden como están, ya que ellos señalaron siempre que Estados Unidos volvería en algún momento a su antigua conducta, lo que, por desgracia, ha pasado, y ha traído una desaceleración en lo que aquí se conoce como la “Actualización del Modelo Cubano”. Es en ese marco que Cuba vivirá en los próximos 45 días un proceso que no será menor. El 19 de abril, Raúl Castro Ruz dejará la presidencia del país. Es cierto que todo apunta a que mantendrá su sitial como secretario general del Partido Comunista de Cuba (PCC) y su rango de general de Ejército, pero es igualmente correcto que por primera vez desde 1959, Cuba no tendrá como presidente a un Castro Ruz. Eso, le guste o no a seguidores o detractores, es un cambio mayor. Ya no será un Castro Ruz quien hable a nombre de Cuba en la Asamblea General de la ONU, no será un Castro Ruz quien se dirija en las cumbres regionales, no será un Castro Ruz quien reciba oficialmente a los mandatarios de otros países o quien hable en la televisión nacional cuando haya una emergencia nacional. Y ése es el mayor cambio que habrá en este país en décadas. Surgirán argumentos como pasaba con su fenecido hermano, a quien se le atribuía gobernar desde la trastienda, pero lo cierto es que una transformación importante se avecina en Cuba, y quien no lo vea, debe quitarse las gríngolas, porque por estos lares, como es norma de vida y dice la canción, aunque sea a paso de tortuga, “cambia, todo cambia”. 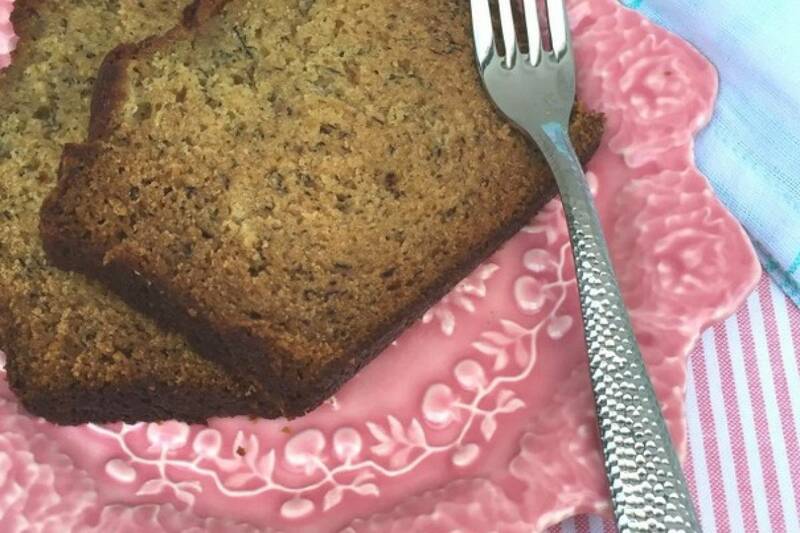 mikenova shared this story from Caribbean Business. SAN JUAN — Federal Communications Commission (FCC) Chairman Ajit Pai proposed Tuesday to direct about $954 million toward “restoring and expanding” communications networks in Puerto Rico and the U.S. Virgin Islands that were damaged by September’s hurricanes. Resident Commissioner Jenniffer González will be returning with Pai Wednesday for a roundtable with industry representatives to discuss the telecommunications’ recovery progress, the industry’s challenges and the proposed funding. Pai will be traveling to Puerto Rico and USVI from March 7-10 to review recovery efforts, “evaluate lessons learned” from hurricanes Irma and Maria, and “prepare for the upcoming hurricane season,” according to his office. 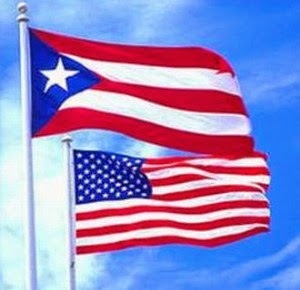 The FCC chairman proposed to create a $750 million Uniendo a Puerto Rico Fund (Bringing Puerto Rico Together Fund) and a $204 million Connect USVI Fund. According to an FCC release. Each of these would provide “additional short-term assistance for restoring communications networks” and “longer-term support for expanding broadband access” on the islands. According to Puerto Rico Telecommunications Regulatory Board data, as of Feb. 2, 98.5% of telecommunications are up and running and 2,487 of 2,671, or 93.11%, of the island’s cell sites are operational. Reuters reports that, as of Monday, the FCC said 4.3 percent of cell sites in Puerto Rico and 14 percent of sites in the U.S. Virgin Islands remained out of service. An immediate infusion of approximately $64 million in additional funding for short-term restoration efforts. 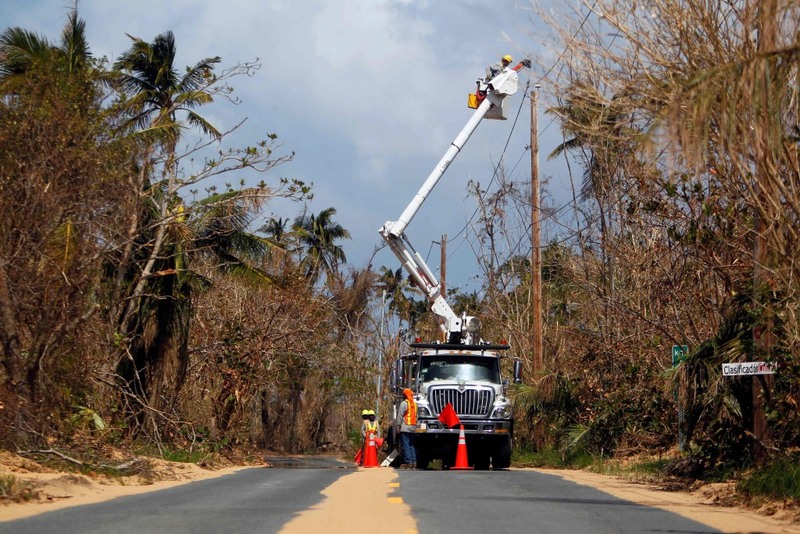 A proposal to allocate approximately $631 million in long-term funding for the restoration and expansion of fixed broadband connectivity in Puerto Rico and the U.S. Virgin Islands. A proposal to allocate approximately $259 million in medium-term funding for the restoration and expansion of 4G LTE mobile broadband connectivity in Puerto Rico and the U.S. Virgin Islands. The immediate conversion of the advanced funding the Commission provided last year to carriers in Puerto Rico and the U.S. Virgin Islands into new funding by declining to offset that advanced funding against future universal service support payments. The plan would be funded by providing approximately $256 million in new funds as well as “repurposing universal service support currently directed” to Puerto Rico and the USVI. The plan needs FCC approval and would be largely funded by the Universal Service Fund, which provides federal subsidies to companies to make communications services more accessible and affordable in places where the cost is high. While in Puerto Rico, the officials will also meet with the U.S. Army Corps of Engineers and the Puerto Rico Electric Power Authority to discuss advances related to fiber optics and they will end their work agenda with a meeting with radio stations. 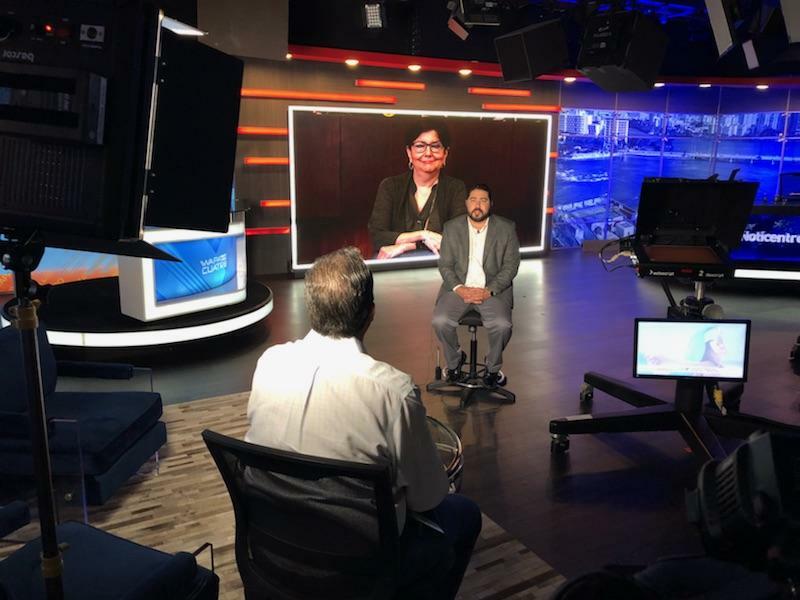 More than a month ago, the FCC official agreed to the resident commissioner’s petition to allow local TV stations to access more broadcast channels, according to a release from González’s office. –Reuters contributed to this report. A little over a month ago, the Fiscal Oversight Board (JSF) asked Judge Laura Taylor Swain to authorize $ 1,300 million as soon as possible so that the Electric Power Authority (PREPA) could continue to operate. Yesterday, Martin Bienenstock, told that the things in the PREPA are better than previously believed. In a presentation that lasted approximately 10 minutes, Bienenstock told Swain that, based on the information he had received from the government, PREPA no longer has the urgency to borrow more money because it has recovered the billing levels it had before the hurricanes Irma and María will pull down part of the Puerto Rico electrical system. According to Bienenstock, as a result of the recovery of the PREPA income and after the loan of $ 300 million, the public corporation can operate “by itself” at least until next May, when it may need new financing. Bienenstock’s expressions about the PREPA were the first item on the agenda of the March general hearing in the Title III Promise cases held yesterday, when the lawyer anticipated that the JSF and the Financial Advisory Authority and Tax Agency (Aafaf)) could make a new financing request next month. “I like to hear that PREPA’s revenues have increased,” Swain told Bienenstock, revealing a kind of smile on his lips. On February 19, after listening to arguments for almost six hours, Swain concluded that PREPA did not need the multi-million dollar amount requested by the JSF and Aafaf but the $ 300 million that it finally approved. De acuerdo con Bienenstock, luego que la jueza Swain aprobara el financiamiento de $300 millones, la JSF y la Aafaf ponderaban regresar este mismo mes a la corte para solicitar un nuevo préstamo por $550 millones. En dicha solicitud, explicó el abogado, se contemplaba refinanciar los $300 millones ya otorgados por el Fondo General y $250 millones de nuevo capital. Pero esa estrategia tiene menos de 50% de probabilidad de convertirse en realidad, indicó Bienenstock. Según el asesor financiero de la AEE, Todd Filsinger, se debe activar un plan de emergencia para reducir operaciones y apagar plantas generadoras si los niveles de efectivo en la corporación pública se reducen a $100 millones, porque no habría dinero para comprar combustible o pagar la nómina de los trabajadores. Según un reporte de liquidez de la AEE del pasado 5 de marzo ante la Junta Reglamentadora de Valores Municipales (MSRB, en inglés), desde enero hasta la semana que concluyó el 23 de febrero, la AEE recaudó $327.6 millones con la venta de electricidad asus clientes. En la semana del 23 de febrero, la AEE recibió el préstamo del Fondo General y, en esa fecha, había en caja unos $288 millones. Partiendo del informe de la AEE que muestra las proyecciones de efectivo a 13 semanas, luego de la inyección de $300 millones que aprobó Swain, ese posible escenario catastrófico en el que la liquidez quedaría por debajo de la marca de $100 millones no se daría hasta mayo próximo. Ese escenario parte de la premisa de que la AEE cobraría semanalmente de sus abonados entre $20 millones y $31 millones. Se trata de cifras menores a la tendencia que la AEE ha reflejado desde principios de enero. Según el reporte, en ese periodo, el ingreso promedio semanal por facturación a los abonados rondó $40.95 millones. No es la primera vez que la JSF y el gobierno describen cuadros adversos de las finanzas públicas de Puerto Rico que no se materializan. El año pasado, la JSF dijo a Swain que necesitaba acceder a los recaudos del Impuesto sobre Ventas y Uso (IVU) en manos de la Corporación del Fondo de Interés Apremiante (Cofina) porque el gobierno federal quedaría sin dinero en diciembre pasado, pero eso no sucedió. Asimismo, en octubre pasado, la Aafaf dijo a la JSF que los recaudos del Fondo General podrían colapsar hasta en 50% como secuela del huracán María y que eso hacía indispensable obtener cuanto antes el préstamo de emergencia bajo el programa de Comunidades Afectadas por Desastres (CDL, en inglés). Sin embargo, el Tesoro federal -que determina las condiciones de dicho préstamo- ha concluido que la urgencia de allegar efectivo es menor de lo que reclama el gobierno, porque, consistentemente, el balance en la cuenta principal del gobierno o TSA, en inglés, se muestra por encima de $1,500 millones a pesar de la devastación ocasionada por el huracán María. Now, however, the improvement in PREPA’s cash could affect the efforts of the central government for the Federal Treasury to disburse the CDL because, among the conditions to release the loan, it included that the TSA account has a balance of less than $ 800 millions. Until last February 23 and after disbursing the loan of $ 300 million to PREPA, the TSA account held by the Department of the Treasury showed a cash balance of $ 1,560 million. 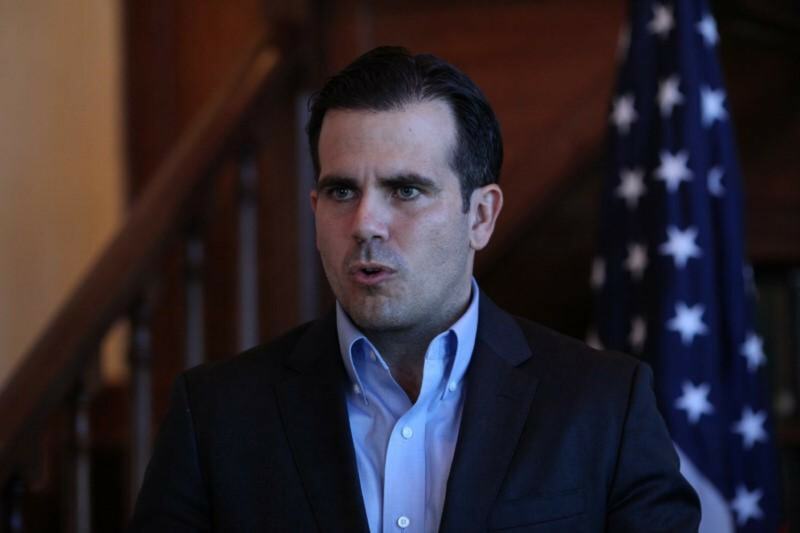 SAN JUAN, Puerto Rico – Puerto Rico’s Governor Ricardo Rossello on Monday pressed proposals for privatizing the U.S. commonwealth’s shattered electrical grid as part of its painstaking recovery from devastating September hurricanes. Rossello used his State of the State speech to say that he had introduced an energy reform bill on Monday, while outlining ideas for cutting taxes, increasing police pay and introducing education reforms. Hurricanes Maria and Irma killed dozens of people and caused an estimated $100 billion in damage to a recession-bound economy in which more than 45 percent of its 3.4 million U.S. citizens live in poverty. Rossello also repeated his call for the federal government to stop treating Puerto Ricans as “second-class U.S. citizens” in terms of disaster relief. “Disaster response should not be based on the notion of being Republican or Democrat, but rather on the equal treatment and aid to U.S. citizens,” Rossello said, while recognizing support from New York Governor Andrew Cuomo, a Democrat, and Florida Governor Rick Scott, a Republican, who was in Puerto Rico and attended the event. In January, Rossello announced his intention to sell off the Puerto Rico Electric Power Authority’s power generation assets, and said it could take about 18 months to complete. On Monday he said the energy reform bill would “define the process” for privatized and public-private partnerships (P3s). These so-called P3 projects would shift development costs onto the private sector, and in return typically would be paid fees from government to manage a property. Hurricane Maria took out the island’s power. More than 5 months later, 12.5 percent, or 185,200, of customers, do not have electricity, according to the latest data from the U.S. Department of Energy. The goal is to reduce Puerto Rico’s high energy costs to less than 20 cents per kilowatt hour (kWh). A year ago, PREPA, Puerto Rico’s electric utility, was instructed by the federally appointed Financial Oversight and Management Board to achieve customer rates no higher than 21 cents per kWh by 2023. Under a 2016 federal Puerto Rico rescue law known as PROMESA, the board was given the authority to push Puerto Rico into a court-supervised restructuring akin to U.S. bankruptcy, which it did in May as it reeled under $120 billion in combined bond and pension debt. “This plan cannot be merely fiscal; it needs to be transformative and include the aspirations of our people,” he said. His plan calls for using $18 billion in additional funding from the U.S. federal budget to turn a deficit into a surplus of $3.4 billion within six years. While Rossello has focused on cutting spending by reorganizing and reducing the size of the government, he is advocating more resources for police including a salary increase of $1,500 per officer, and higher pay for teachers. Rosello also vowed once again to cut income taxes for individuals and businesses, and reduce sales tax on prepared food. Once completed, individual taxpayers could see savings from $450 to $950 a year, the governor projected. SAN JUAN — Gov. Ricardo Rosselló explained Tuesday that the money to finance the $1,500 annual pay raise for teachers and police officers, he announced in his State of the Commonwealth address Monday evening will be obtained via savings from the Education and Police departments’ restructuring. Rosselló told the media that the wage hike for teachers would have a cost of roughly $38 million, while the raise for officers would be around $17 million to $20 million. 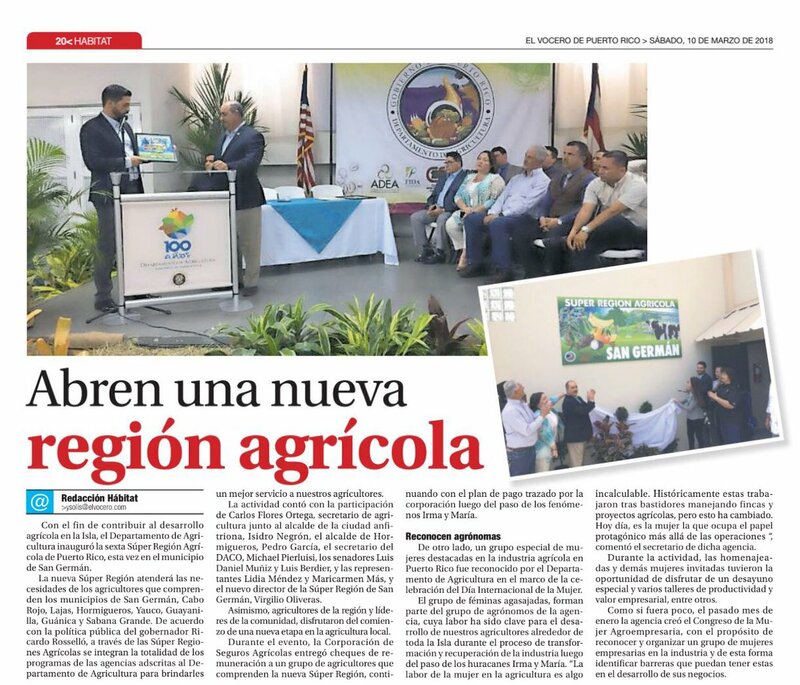 “It’s important to emphasize that we are getting this money from the same agency, from restructuring the same agency,” the governor said at a press conference held in La Fortaleza. Rosselló said the consolidation of Police stations and administrative functions are some of the measures that would produce the savings needed to provide the raise. 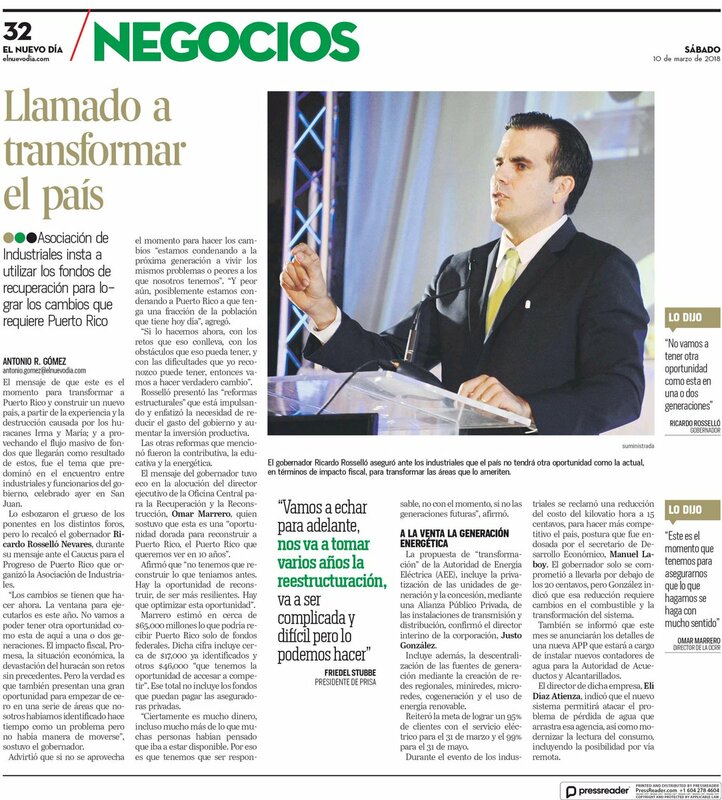 Rosselló explained that the lost IVU revenue would be covered by “the Incentives Code transition,” “efficiencies we are seeking” and “other technical initiatives that are being worked on, as well as “other measures” that are being discussed with the island’s fiscal oversight board. During his speech Monday, the governor mentioned tax reform but did not give details about when he would introduce a bill. “More competitiveness, fewer taxes, incentives to work, and world-class preparation are the ingredients to achieve a productive Puerto Rico and change the chronic condition of labor participation forever,” the governor said in his annual speech. Regarding the incentives to work, when asked by Reorg Research about the Earned Income Tax Credit, he said there is an estimated $150 million to $200 million. SAN JUAN – Puerto Rico’s Financial Oversight and Management Board (FOMB) reminded the court Tuesday that it has ruled that it has no jurisdiction to review the type of challenge to board determinations such as the one brought by the Puerto Rico Energy Commission (PREC). “PREC is improperly seeking to inject itself into a process that Promesa [federal law] commits to the Oversight Board’s sole discretion; and PREC is seeking an impermissible advisory opinion about what types of things the FOMB (Board) can and cannot put in certified fiscal plans,” the fiscal panel said. “The fact that PREC does not have a chance of prevailing on its claims and has not shown any irreparable injury does not mean that the Oversight Board believes that PREPA [Puerto Rico Electric Power Authority] should not have a strong, independent regulator. To the contrary, the Oversight Board has always maintained that such a regulator is needed. But an independent regulator still does not have the right to dictate to the Oversight Board how Prepa should be restructured under PROMESA,” the board added. PREC sued the fiscal board and the public power company Sunday to reassert its authority over the utility. Prepa’s fiscal plan proposes actions that affect the island’s electric power policy in matters of power supply mix, capital and operating expenditures, internal operations, revenue requirements and rate design, all of which lie within the energy commission’s purview under the law, the regulator says. Its complaint requests the court to declare that the fiscal board can neither mandate nor authorize Prepa to take actions that infringe on PREC jurisdiction. “Prepa has submitted this Fiscal Plan to FOMB without presenting its substance to the Commission for its review—a review necessary to determine whether the proposed actions are consistent with Commonwealth statutes, as interpreted and applied by the only agency legally authorized to interpret and apply those statutes. FOMB has declined to provide the document to the Commission,” the energy regulator’s legal recourse reads. A clarification from the court, PREC argues, would result in the fiscal board dropping “its unexplained, nine-months-long resistance to collaborating with the Commission to create sensible decision-making protocols” the regulator said would make effective use of each entity’s legal powers. Although the fiscal board asserts it has the power to mandate or authorize Prepa activities, thus influencing power restoration efforts on the island, utility operations and the sought after transformation of Puerto Rico’s electric industry, its position conflicts with the commission’s duties, PREC reiterated. “Both the assertion and application of that power (as FOMB sees it), and the resulting legal uncertainty, is currently, and will continue to be, harmful to the Commission, PREPA’s electricity customers, existing and future bondholders and the public interest,” the commission wrote. mikenova shared this story from puerto rico agriculture – Google News. As of Tuesday, approximately 98 percent of Puerto Ricans had access to water, but only 80 percent of the island’s residents had access to electricity five months after the storm, according to Status PR, a website set up by the government to track repairs to critical resources after Hurricanes Irma and Maria. Farm Bureau members had many proud moments at the American Farm Bureau Federation annual convention last month. One of my proudest moments was when information about the Puerto Rico Agricultural Relief Fund was presented in the trade show and on the big screen at our general session. The existence of a thriving agricultural economy has been prevented due to a shift in priorities towards industrialization, bureaucratization, mismanagement of terrains, lack of alternative methods and a deficient workforce. Its geographical location within the Caribbean exacerbates these issues, making the scarce existing crops propense to the devastating effects of Atlantic hurricanes. A major problem is that insurance claims are being paid too slowly and 60 percent of household requests for federal emergency grants are being denied. That means fewer dollars are churning through the local economy, when not much money is coming in from elsewhere. Tourism, which accounts for about 6 percent of the island’s economy and supports more than 60,000 jobs, is all but gone for this season. Nearly a dozen big resorts in and around San Juan — including El Conquistador, the Caribe Hilton, the Ritz Carlton and El San Juan — are closed. Many hotels that are open are filled not with tourists but with relief workers and government contractors who are staying at discounted rates. An electronic sign outside the Condado Plaza Hilton, owned by the Blackstone Group, the private equity firm, periodically flashes: “Rooms for relief work and government work available.” Blackstone, which also owns El Conquistador, said it had been paying salaries and providing health benefits to hundreds of furloughed workers. Others associated with the tourism business are just scraping by. “Right now, 90 to 95 percent of our business is down,” said Nancy Matos, who with her husband owns GSI Puerto Rico, which organizes outings for tourists. The 25-year-old business has been hurt by limited access to El Yunque National Forest, a tropical rain forest that suffered major storm damage. GSI, which normally employs up to 80 people, is down to about 30. The company hopes to get some business from relief workers. As many as 200,000 residents have left to live on the mainland. Some companies that are trying to reopen are struggling to find people who can work on construction projects or in factories to produce steel. A report last year by the Federal Reserve Bank of New York found that four months before Maria, 36 percent of Puerto Rico’s small businesses planned to hire more workers and 50 percent planned to invest in new equipment and technologies. The storm laid waste to those plans. 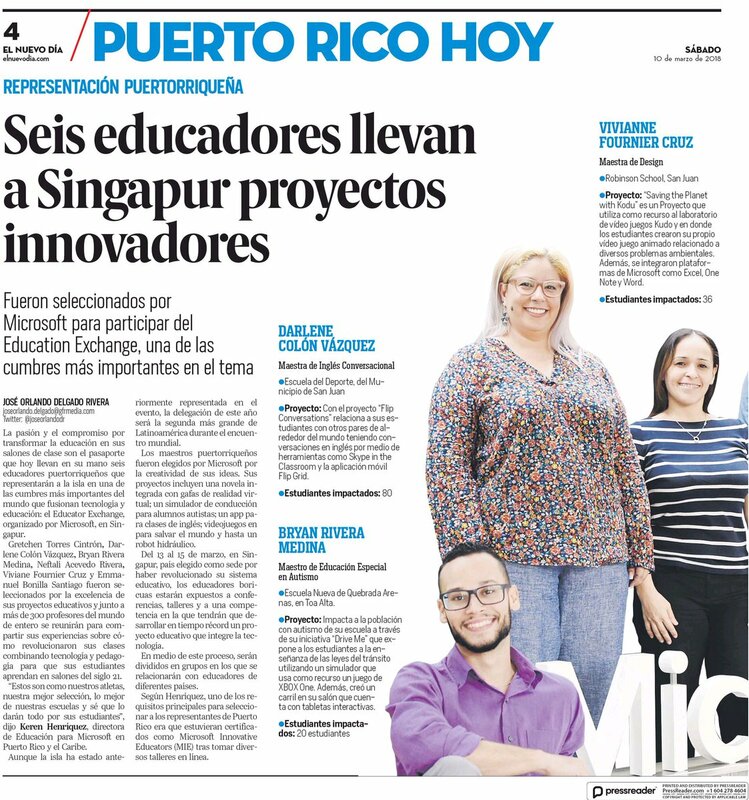 In Ponce, a city on Puerto Rico’s southern coast, PathStone is helping 200 small businesses get financing, find workers and retrain them if necessary. A few weeks ago, PathStone, in partnership with the New York Fed, staged a daylong event for small businesses seeking financing from banks and other lenders. Representatives from 170 businesses showed up in search of help, Mr. Zapata-Rodríguez said. About a third of the companies that PathStone works with in Puerto Rico do not have reliable electrical power, he added. The fragility of the power grid remains particularly frustrating. On Thursday, hundreds of thousand of customers — many in San Juan and along the island’s northern coast — lost power in the middle of the workday. Generators considered optional before Maria are now a necessity. Starbucks is moving to ensure that most of its 26 stores in Puerto Rico, two of which are still closed, have generators. The power failure interrupted a meeting that David Rodriguez was having in Caguas to discuss plans for a new business involving the sale of solar-powered generators. Mr. Rodriguez, who was born in Puerto Rico and runs a telecommunications engineering firm in Rochester, N.Y., returned to the island in December to visit family. He was alarmed to find his uncle living with a gasoline-powered generator running inside the house — a serious health risk. His uncle said he was keeping the generator indoors because he was afraid it might be stolen if it was outside. That experience led Mr. Rodriguez to start a company, InverSol, to make small solar generators that can be installed on roofs and provide at least some power during blackouts. The company eventually could employ up to 70 people and produce up to 7,000 generators a year for $2,000 each. “We want to get some basic humanity back,” Mr. Rodriguez said. One challenge, however, has been finding an undamaged location that can be quickly converted into a factory. He is working with PathStone to hire former farmworkers who have experience using heavy equipment. The search for qualified workers is troubling a broad swath of businesses. Frankie Vazquez Marrero runs a business that sells precast walls and structured steel. He employed 22 workers before Maria. Now he is down to three. Many of his best workers left the island or are trying to move into other industries. He is still waiting for the company’s insurer to cover some of its storm-related losses. “We lost our very best workers, and the new hires don’t have the knowledge,” he said. Things could be worse in Puerto Rico. Auto sales were up 21 percent in January, in part because people needed to replace damaged vehicles, said José Villamil of Estudios Técnicos, an economic research firm. Fewer people are falling behind on mortgage payments, according to the data firm Black Knight. The construction industry is growing. At the investment conference, there was much talk about how Puerto Rico’s low-tax environment will draw investors from the United States and China. Others were bullish about the island’s growing reputation as a haven for cryptocurrency start-ups. Brokers from Sotheby’s International Realty worked the hallway outside the conference room, trying to drum up interest in luxury waterfront homes in the nearby community of Dorado. But many overseas investors are waiting to see what happens with the island’s electrical grid and a moratorium on home foreclosures that a federal housing agency just extended until mid-May. Billions of dollars from Washington are starting to flow, for rebuilding the electrical grid and for housing and urban development projects. But the package is well short of the tens of billions that experts have said are needed. And insurance money is just trickling in. So far, 299,999 claims have been filed by homeowners and businesses but just $1.7 billion in payouts have been approved, according to the insurance department. Much of the federal money is being dispensed as grants and loans that businesses and individuals apply for from the Federal Emergency Management Agency and the Small Business Administration, among others. 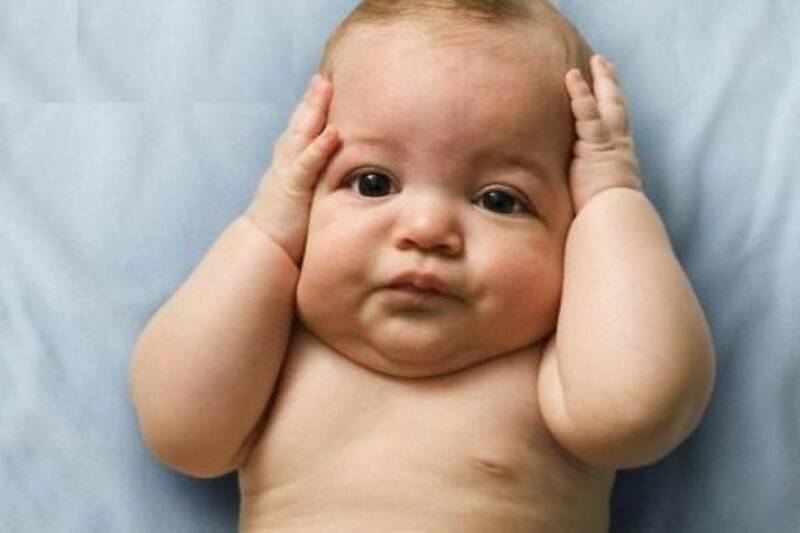 The typical household FEMA grant is a few thousand dollars. Lawyers and community groups complain that FEMA has rejected about 60 percent of the 1.1 million household applications it has received. The agency said that figure was misleading because some rejected applicants had received loans from the Small Business Administration or aid from other agencies. One reason for the rejections is that many Puerto Ricans cannot prove that they own a home. Only 65 percent of properties in the territory are officially registered with the government. The problem is especially acute in small cities and rural areas where there’s a custom of property owners not recording titles to homes. In Loíza, an oceanfront community of 30,000, damage to homes and businesses was extensive. Many small businesses in the town were closed for months and may never reopen. Power was restored to most residences and businesses only in the first week of February. 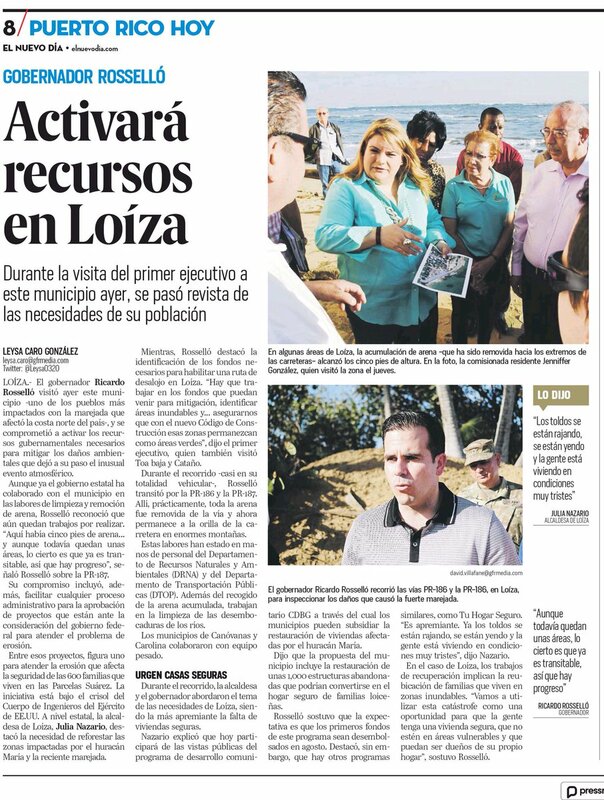 Federal funds are only trickling into Loíza, and housing groups said one reason for the slowness was the small proportion of homes there, perhaps 20 percent, that are officially registered. In a makeshift FEMA center, agency workers allowed property owners to submit a written declaration that they owned their home. But advocates said some were still being rejected. Nearby, stray horses ambled along the beach. The halting pace of the economic recovery worries business leaders like Eli S. Sepúlveda Morell, an executive vice president at Banco Popular, Puerto Rico’s largest lender. His biggest concern is a shortage of qualified workers, especially in construction. mikenova shared this story from Atlas Obscura – Latest Articles and Places. In Dorado, Puerto Rico, the problems with the water began in the 1980s, when industrial solvents and dry cleaning compounds started to show up in local wells. Over the next three decades, when officials from Puerto Rico’s water authority and health department came to test the water, they kept finding contaminants. By the 1990s the problem had become troubling enough that wells began to be shut down. By the 2000s, the Environmental Protection Agency (EPA) was searching for the source of the pollution. Whatever was leaking these compounds into the groundwater, the federal agency couldn’t find it. But the contamination was only getting worse, and in April 2016 the EPA proposed putting the Dorada water system on the national list of Superfund sites—the most contaminated places in the country. This past October, in one of the many headline-making incidents that followed Hurricane Maria, workers from a local utility opened one of those contaminated wells near Dorado and started distributing its water to desperate people who had no other option. For months after the hurricane, without electricity, surrounded by damaged infrastructure, Puerto Ricans struggled to find clean water after sewage, gasoline, and more was swept up in floodwaters. But the island’s underlying geography, along with a history of poor investment in the water system, have made contamination a long-standing problem in the island territory. Researchers are trying now to understand and measure just how much the storm exacerbated these issues. Many other types of aquifers collect water that seeps through layers of the ground, which serve as a natural water treatment plant and filter contaminants out. But karst aquifers don’t have that same advantage. “The same exact characteristic that allowed water to flow through allows the contaminants in,” Padilla says. As reliable sources of water, karst aquifers attract human settlement. But even in the absence of a dramatic spill or clear sources of pollution, contaminants sneak into the groundwater as neighborhoods and industry grow. This danger is compounded by Puerto Rico’s systems of pipes, pumping stations, and treatment plants, which has registered more drinking water violations than any other state or territory in the United States, as the Natural Resources Defense Council (NRDC) reported in the spring of 2017. According to data analyzed by the environmental group, close to 70 percent of the island’s population gets its water from sources in violation of federal health standards for drinking water. These violations are caused in part by the degradation of Puerto Rico’s water infrastructure, which is riddled with leaks that make the system vulnerable to further contamination. “There’s been a lot of disinvestment in water treatment plants and water pumping stations,” says Mekela Panditharatne, an NRDC lawyer who specializes in water. The hurricane had a direct, dramatic impact on these existing problems. Across the island, taps stopped running and floodwaters rushed in, covering cars and houses. Padilla, the water engineering professor, remembers the water seeping in under her door being white and brown. “I was thinking, ‘That could be contaminated water,’ right in the middle of the hurricane,” she says. Clearly the hurricane had an impact on the island’s water quality in the short term, but Padilla is interested in its far-reaching impacts as well. “The impact by chemicals is generally longer term,” she says. “You’re not going to see that the next day.” The influx of floodwater could also have diluted the contaminants that had been a problem in the past. Those levels could be quick to return. Now that conditions on the islands are finally starting to improve—Padilla got electricity back only in the past couples of weeks, she says—researchers are starting to think about their next steps. Another group is planning to work with local nonprofits and schools to sample water supplies around four other Superfund sites, including a battery-recycling facility and a naval training center, contaminated by munitions tests, in order to identify new risks of exposure. In the first months after the storm, even the EPA had trouble accessing all the Superfund sites on the island—24 in total—but as of February the agency says it has assessed every one and found no major spills associated with the storm. Returning to the status quo, though, is far from ideal. Even before the storm Puerto Rico needed more than $2 billion to fix up its water infrastructure, and now the island needs billions more just to rebuild. mikenova shared this story from Noticias de Puerto Rico – Google News. Ya el agua azota con fuerza en Piñones y la carretera PR-187 -que lleva a Loíza- está cerrada, tras la fuerte marejada que afecta al suroeste, oeste y norte de la isla hoy, domingo, según el pronostico más reciente del Servicio Nacional de Meteorología (SNM). “La boya de San Juan marcó (a las 3:00 p.m.) 13 pies con un periodo de 15 segundos, lo que genera un oleaje rompiente entre los 18 y 23 pies“, informó el meteorólogo del SNM, Carlos Anselmi, en entrevista con <a href=”http://endi.com” rel=”nofollow”>endi.com</a>. Olas entre los 15 y 25 pies azotarán las costas de Puerto Rico, todas provocadas por una baja presión “muy fuerte” que está sobre el Atlántico central. Esto estará acompañado por vientos, de hasta 20 nudos, desde el noroeste. Ante el “preocupante” panorama marítimo, Anselmi recomendó a las personas a “no exponer sus vidas” en las playas de la isla, pues “esto apenas comienza“. Y es que lo “peor” ocurrirá al caer la noche y mañana, lunes, temprano. En respuesta a la situación, el SNM emitió advertencias de resecas fuertes y precaución para los operadores embarcaciones pequeñas. Esta última permanecerá vigente hasta las 6:00 p.m. de mañana. También registró un riego algo de corrientes marinas. De igual modo, las condiciones del tiempo resentirán, aunque en menor escala, el impacto de la marejada. “Tendremos cielos nublados y temperaturas agradables. Algunas lluvias afectarán al país, pero mayormente serán leves. En ocasiones, no obstante, acontecerán pequeños lapsos de aguaceros moderados“, explicó Anselmi. El alcalde de Cataño, Félix Delgado, activó a la Oficina de Manejo de Emergencias Municipal (OMME) y demás componentes de seguridad del ayuntamiento. Todos realizan, desde las 6:00 a.m., rondas preventivas por el litoral costero y las zonas más vulnerables a desbordamientos en el pueblo. Al momento, Cruz habilitó en la capital, desde las 3:00 p.m., dos localidades para que los residentes de La Perla y las comunidades del G-8 (Caño Martín Peña) puedan resguardarse, el Centro de Servicios Múltiples de Barrio Obrero 1 y la alcaldía, respectivamente. Para prevenir incidentes, la líder municipal cerró varias calles en Ocean Park: Park Boulevard, Soldado Serranoy Guerrero Noble. Se recomienda a los ciudadanos utilizar el Expreso Baldorioty de Castro y la calle Loíza para llegar a su destino. “Exhorto a las personas a permanecer alejados de la orilla de la playa y fuera del agua. No es momento para ir a ver las condiciones del mar y que pongan en riesgo la vida de las personas. Mantengan a los niños fuera de estas áreas”, recalcó Cruz a través de un comunicado de prensa. En Loíza, la alcaldesa Julia Nazario desalojó a los vecinos de las Parcelas Suárez en el Barrio Medianía. Al momento, otras ocho comunidades permanecen bajo aviso. mikenova shared this story from preventive police surveillance – Google News. The police are legally empowered to do all kinds of surveillance without a warrant, provided they are operating in public space. … but powerful tool that enabled police to gather statistics of arrests and disturbance locations and use the aggregated data to deploy their investigative and preventive power. Currently, the city police have 50 bikes, but only 20 are used daily for patrolling. The rest of the bikes will also be taken out for ‘Booster Patrol’, police said. The duty of ‘Booster Patrol’ squad has been divided into three – prevention, surveillance and detection. Prevention is the duty of uniformed officers. Since commercial medical marijuana was greenlighted, corporations are set to emerge as the countrys new drug kingpins. Austin (USA), March 9 (EFE / EPA) .- (Image: Larry Smith) The South by Southwest American Festival (SXSW) celebrated today the opening day of its 32nd edition, where music, companies and Filmmakers of all cultures have a prominent presence in a heterogeneous program that combines knowledge and fun. 3:55 AM 3/10/2018 – Can the president run the White House like a family business? Trump attacked Sessions again. But can he actually fire him? Can the president run the White House like a family business? The presidents company wont say how much money it made in foreign profits last year. Have you got a guess? 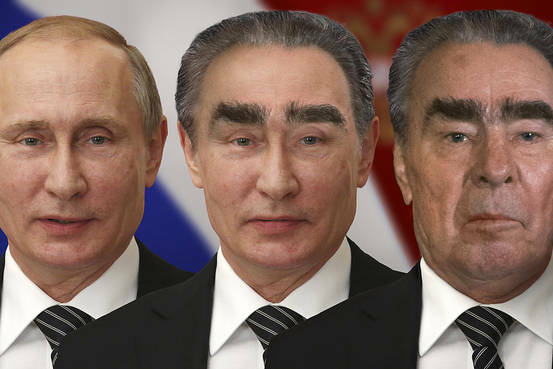 Is Putin Turning Into Brezhnev? 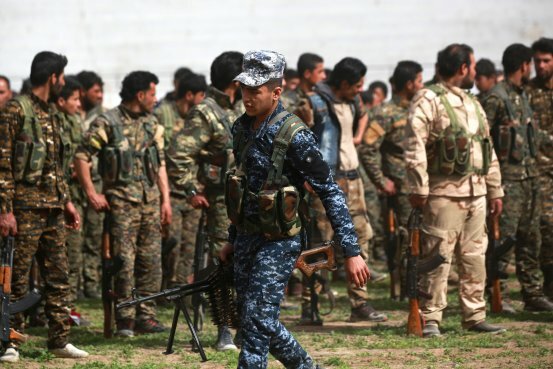 On the threshold of victory over Islamic State, hundreds of U.S.-backed local forces key to defeating the group have abandoned the fight, as U.S. military officials on Wednesday offered no plan to finish the war without them. 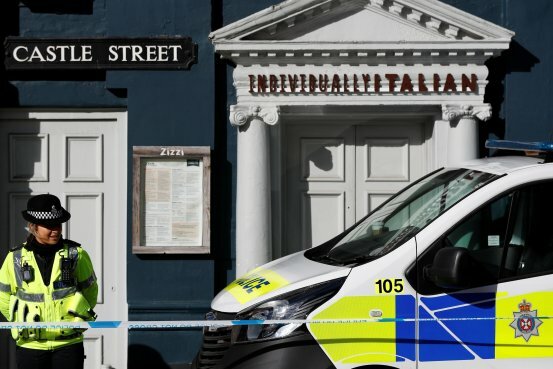 The U.K. said it would be ready to respond to the attempted murder of a Russian double agent living in Britain if it was attributed to Moscow. 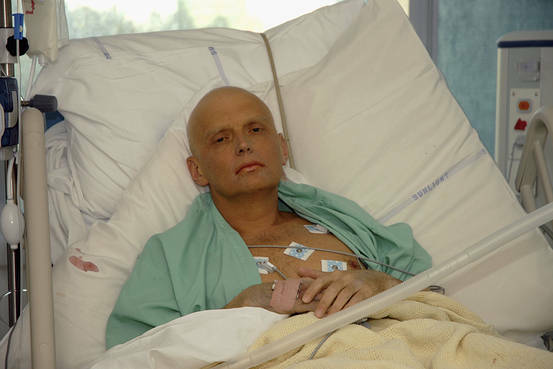 A new report by retired judge Robert Owen said former Kremlin spy Alexander Litvinenko probably was murdered on the orders of Russias FSB intelligence service. 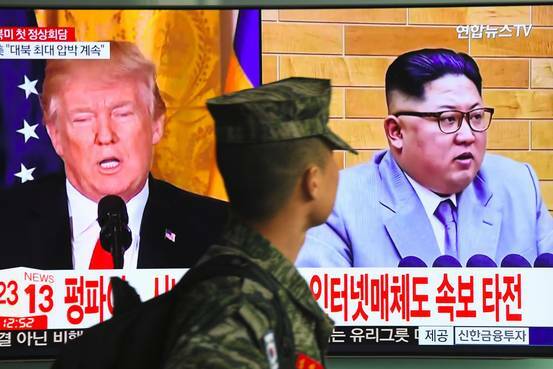 North Korean leader Kim Jong Un has invited President Donald Trump to make an unprecedented visit to North Korea, and the president has agreed to meet by May, a South Korean official said Thursday night. 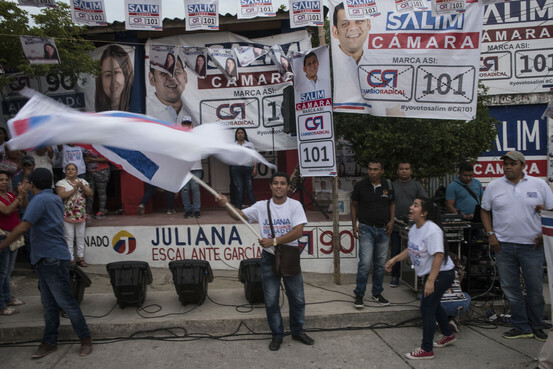 Political families in rural Colombia have been mired in scandal but remain entrenched by doling out jobs, public works contracts and aid to the poor. 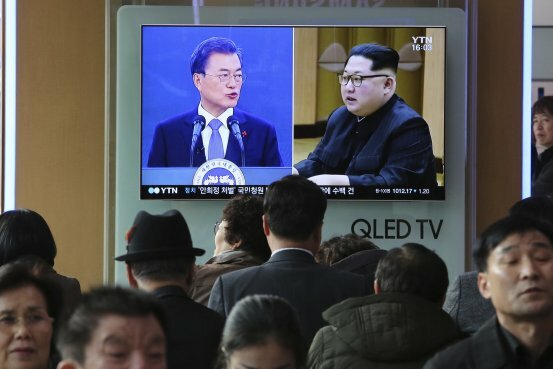 President Donald Trumps decision to accept a meeting with North Koreas leader has boosted the stature of Kim Jong Un with a surprise diplomatic opening that caught U.S. allies off guard. Like his Soviet predecessor, Putin presides over a stagnant economy and has no clear successor. Will his eventual exit bring chaos? Author mikenovaPosted on March 10, 2018 Format AsideCategories Puerto Rico News ReviewLeave a comment on 3:55 AM 3/10/2018 – Can the president run the White House like a family business?